Chef Takumi: 17 years. I learned Japanese cooking at the Tsuji cooking school in Osaka when I was 18. I have been a chef ever since. Please don’t count how old I am! Washoku Lovers: Did you work as a chef in Japan? Chef Takumi: Yes, I was working at Kiccho in Osaka for 5 years. Chef Takumi: I learnt Japanese cooking methods at Tsuji cooking school in Osaka. I was living at the restaurant while I went to cooking school for 2 years. After graduating, I started to work at Kittcho, which is one of the traditional Japanese restaurants in Japan. I was working like mad, didn’t sleep well for 10 years. But, now I am confident in my professional skill to cook Washoku. Washoku Lovers: How did you become a chef? Chef Takumi: Well, to be honest, I wanted to be a Chinese chef at the beginning as I was influenced by TV shows. But I chose to become a Japanese chef when I started to work at Kiccho. I was fortunate to have that position as it’s very difficult to get into the restaurant. I was pretty lucky to get the chance at that time. Washoku Lovers: What do you think about cooking Washoku out of Japan? 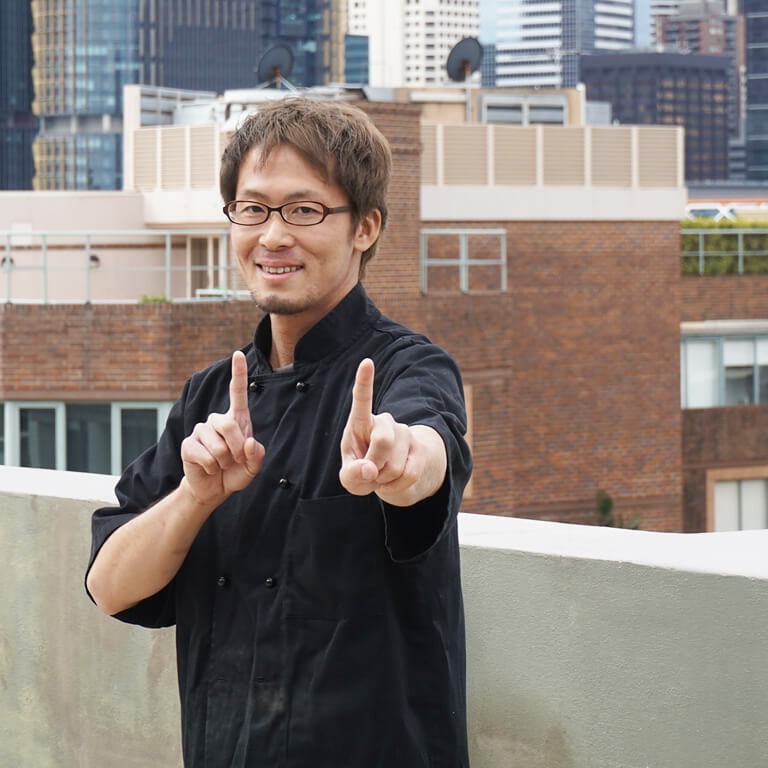 Chef Takumi: I don’t mean to be rude, but when I was still in Japan, I didn’t think the quality of washoku in Australia would be that good. I thought it would be more easy and simple [to cook outside Japan]. But I was totally wrong. To make Washoku out of Japan is more challenging and there are so many opportunities to create new possibilities. Washoku Lovers: Do you have a “Washoku signature dish” or a “favourite Washoku dish” you enjoy cooking? the quality of ingredients is more important than anything else in this dish. It has a very simple taste, that’s why we need the fresh and good quality of food. Washoku Lovers: What do you think about mixing Washoku with other food cultures? Chef Takumi: I think washoku is traditionally mixed with other food cultures ever since a long time ago, such as curry rice and tonkatsu. I think Japanese food is always creating something new, getting some influence from other cuisine. 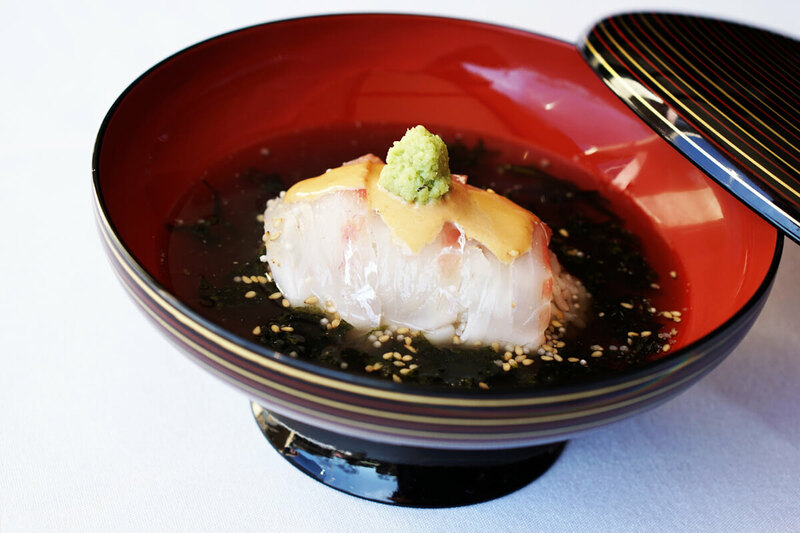 However the most important thing is to remember the spirit of Japanese culture to put into any dish. Japanese spirit should be the main ingredient for any creations. Washoku Lovers: Is there anything funny you’d like to share? Chef Takumi: I think my food can be like Cupid for romantic couples but can also be a factor in their fighting. I mean the food can make anyone happy or unhappy. I can see my customers happiness when they eat at the counter. Washoku Lovers: Is there a chef that you most admire? Chef Takumi: The chef I admire is Teiichi Yuki who opened Kiccho in Osaka. He introduced the spirit of Japanese tea culture into the cuisine. I believe that this person made a stage of for washoku. Washoku Lovers: Do you have any suggestions for Washoku Lovers when they eat Washoku? 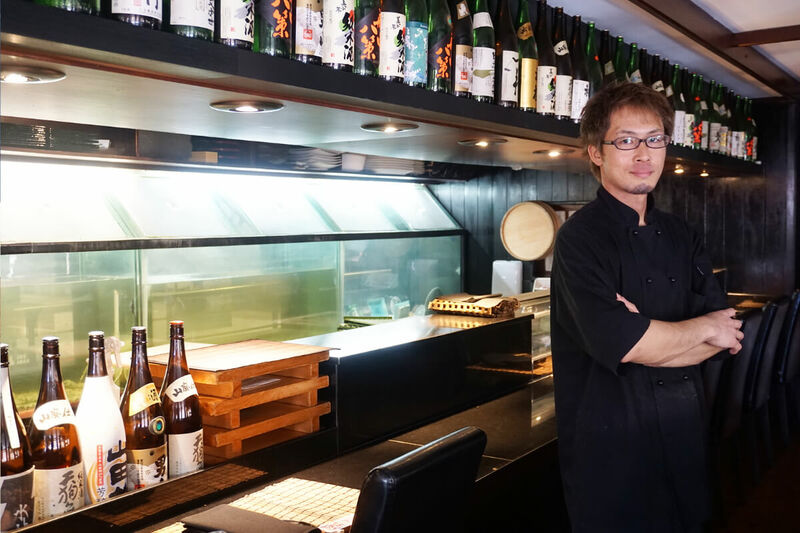 Chef Takumi: Within washoku, there are certain ingredients, flavours, and places that non-Japanese people will think of when they eat Japanese food. It’s interesting to try and find common things between your own culture and Japanese. For example, Chinese people have an affinity for ramen, Indian people will feel nostalgic eating Japanese curry, Italians will eat Japanese cutlets and think of their own food, and Americans and British people will think that niku jaga (beef and potato stew) is similar to their own cuisine. In this way, Japanese food will connect all the people of the world through food.